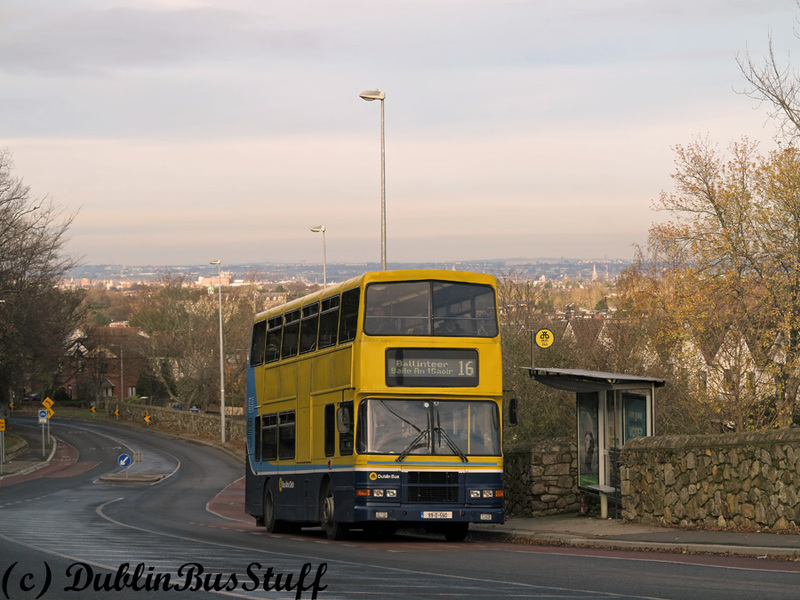 The last Volvo Olympian in service, RV560, is seen posing on Mountjoy Place for the last time prior to entering the gates of Summerhill to be withdrawn on the 19th December 2012. The bell finally tolled today for the Olympian class in scheduled (non-tours) service with Dublin Bus. 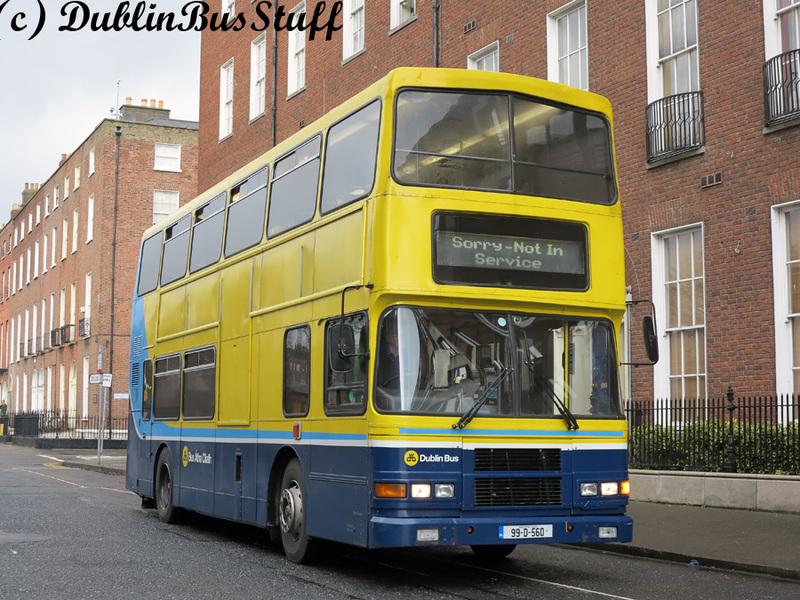 It had been talked about for months now on the multitude of Dublin Bus Enthusiast sites, and though they were given more of a swansong than had initially been envisaged, the 19th December 2012 saw the final Olympian operated scheduled service with Dublin Bus. It was RV560 that took the honours, operating only half a lap on Route 16. 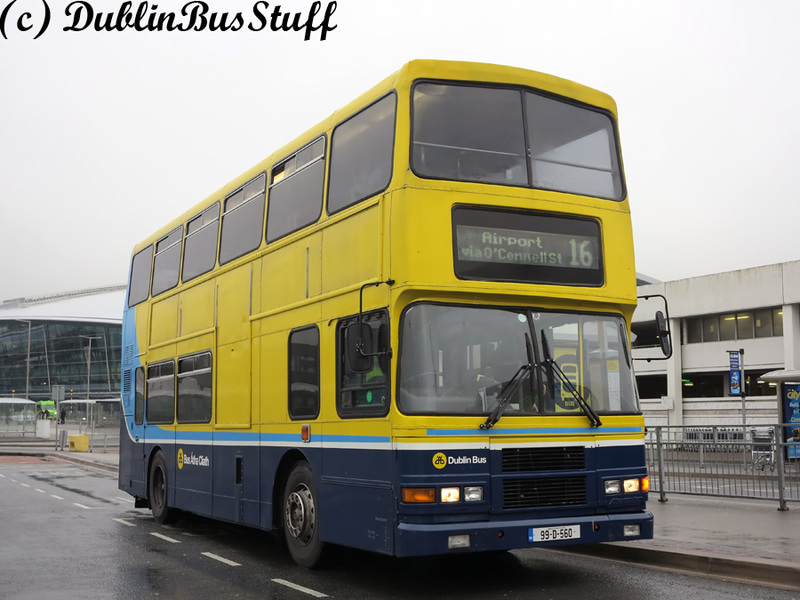 It departed Ballinteer as the 1112 departure (Bus 4) to Dublin Airport, arriving there at 1350 to drop off its last passengers. It was a fitting final operation, with a busy load being carried for the duration of the journey, the RV being the tireless workhorse right till the end. Summerhill's now withdrawn RV560 is seen at the 16 terminus on the Brehon Field Road about to depart to Dublin Airport on the 19th December 2012. This final farewell journey could not have been possible without the tireless efforts of Jonathan McDonnell. Such an event takes a lot of planning, and it was with great delight that I found the notice of the event on Jonathan's flickr page on Monday. It must also be noted that Dublin Bus has once again facilitated the enthusiast community. As noted before on this site, Dublin enthusiasts are very lucky to have a company that goes the extra mile. 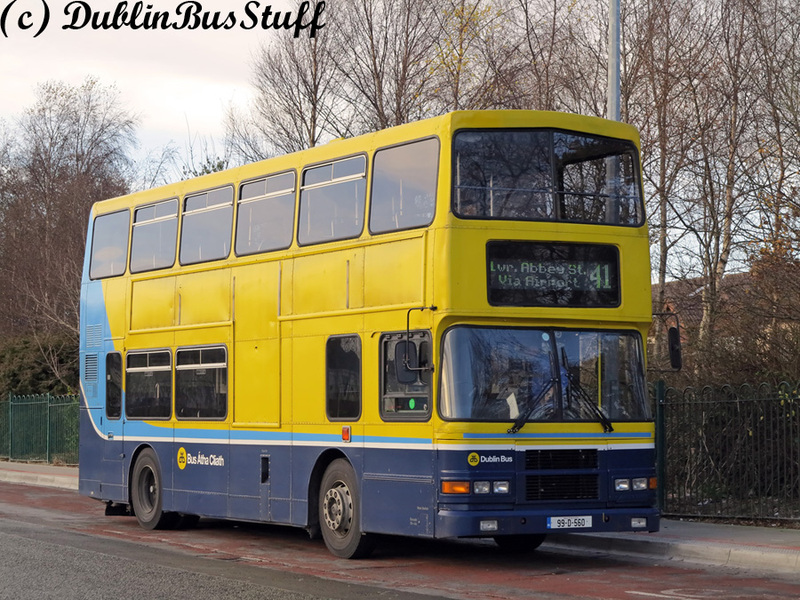 It says a lot about the company that quite a few of the enthusiasts at the event were Dublin Bus drivers, showing a company that takes pride in the service provided and the vehicles that have served the city so well over many years. Summerhill garage also deserve a mention, and last but not least, the driver of the very last RV, David Maher, who accepted his 15 minutes of fame and the multitude of cameras pointed in his general direction. Summerhill's RV560 on a shock Sunday allocation to Route 41 a few days before its withdrawal, is seen on Shantalla Flyover on the 16th December 2012. It's amazing to think that the first Dublin Bus Olympian entered service 22 years and 9 months ago, after a successful trial of an Olympian in 1989. The class eventually numbered 640, though it went through 3 designations, namely RH, RA and RV. 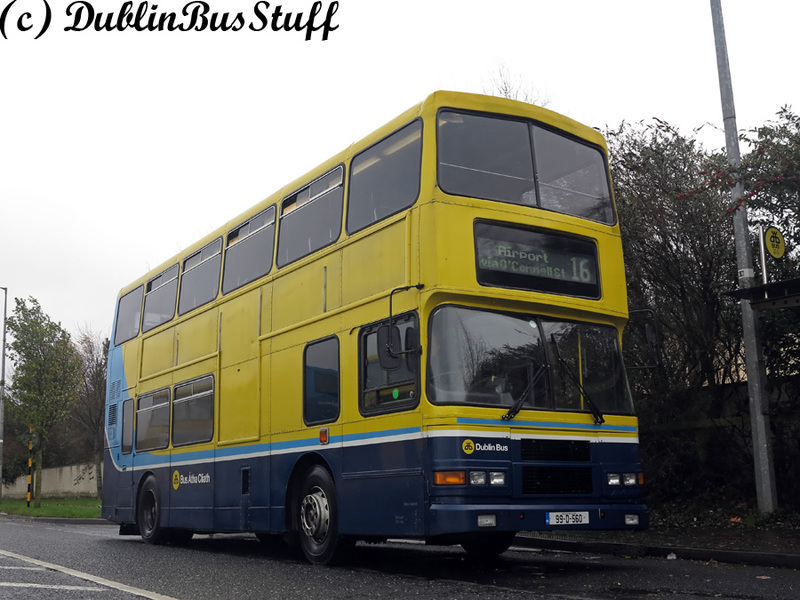 It was an incredible vote of confidence in the type that Dublin Bus bought no other double decker type for 9 years, and was in fact the last major purchaser of the type with nearly 200 in 1999, buying right till the model being discontinued. And after these near 23 years, it was left to RV560 to take the final curtain call in December 2012. 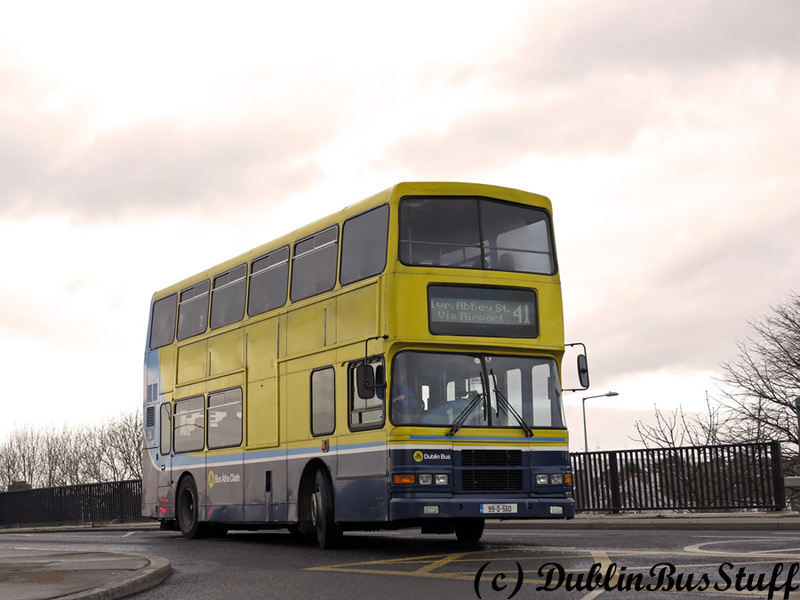 RV560 was orignally delivered to Donnybrook, entering service in September 1999, allocated to flagship Route 46A. It was one of a number of the 1999 Olympian batch that came delivered with a narrower destination panel, basically just wide enough to show the Vultron scroll. This was not too pleasent looking and was rectified quickly. Operating for a few years from Harristown Depot, it transferred to Summerhill in July 2009 during a major reshuffle and withdrawal of vehicles that summer. Dublin City peers out from behind RV560, a city served by the Olympian Class for 22 years. RV560 is seen here on the Grange Road on the 30th November 2012, a few weeks before RV560 saw out Olympian operation in Dublin Bus. It's probably not coincidence that Summerhill garage has seen out the last operation of many vehicle types. The last Van-Hool D saw out service in Summerhill, the last KD (KD284), the last KC (KC38) and now the last Olympian, RV560. What is even more coincidental is that their last journeys were on Route 16 and that they all bowed out in the month of December. There is definately a pattern emerging, here's betting that the last AV might just go the same way. RV560 is seen at the Swords Manor terminus of Route 41 in its last few days of service on the 16th December 2012. And so it ends. The last passengers have alighted from RV560 on its arrival at Dublin Airport on the 19th December 2012. It paused for a few photographs before heading back to the depot to be decommissioned.